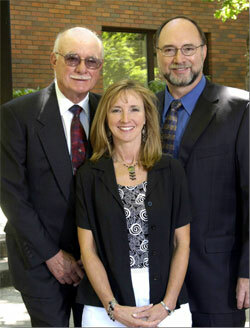 Founders Bob (now retired), Marilyn and John Porter (siblings). Marilyn and John remain acting President and Vice President. Mortgage Master is a nationally trademarked company, established in 1976 by members of the Porter family, veterans of the real estate industry since 1950. What began as a small family endeavor has flourished over the years into one of the leading lenders in the Pacific Northwest. At the heart of its success lies unsurpassed integrity and ethical values; transcending far beyond a business model and into the relationships established with its employees and clients. While many mortgage companies have collapsed under recent economic pressure, Mortgage Master not only withstood, but continued to expand. In fact, Mortgage Master was recently the sole recipient of the prestigious Outstanding Lender Award by the Washington Association of Mortgage Professionals. Mortgage Master can shop the rates of many investors (most likely, your bank included) to ensure the ideal fit for your scenario. Yet, your loan remains completely in-house and local from start to finish. This allows us to avoid expenses associated with outsourcing — a savings which is passed onto you. Reduced costs are certainly one advantage, and we don’t believe it should come at the cost of unparalleled service. Full, in-house processing means that from the time your loan originates, all the way through underwriting and funding, we have control over time-lines and communication. What’s more is our exceptional staff; with an average tenure of twenty plus years, rest assured your transaction will be handled by an “expert”, every step of the way. In relentless pursuit of delivering impeccable service to our clients, we believe education and communication are sure paths to success. We want you to feel confident as you make choices about the many options available for your financing strategy and promise to deliver the guidance needed to make those decisions. We understand that your home is one of the largest investments you will make in your lifetime, and for many people, such a large investment can be accompanied by a great deal of anxiety. We are here to take that anxiety away. We want loan process to be part of the excitement that comes with finding that perfect home or fulfilling the dreams that can come from the benefit of a refinance. Our greatest privilege is found in helping families like yours realize the dreams of home-ownership. Whether you’re a first-time home buyer or a seasoned mortgagee, we want to ensure the perfect loan for your scenario. We know time is precious and many prefer the ease of today’s technology. Committed to offering the very latest advances in mortgage financing, we pledge to provide state-of-the-art security and encryption for your protection. With our convenient on-line loan applications and emailed status updates, you can expect to know the details of your loan every step of the way. Of course for those that prefer a more traditional approach, we are available by phone, email, or in person any time you have a questions. Mortgage Master™ is a registered trademark of Mortgage Master Service Corporation. © Mortgage Master 1976-2019.